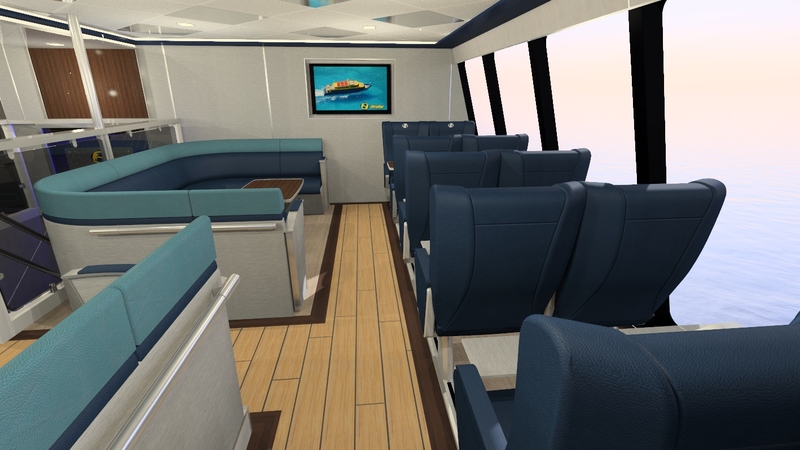 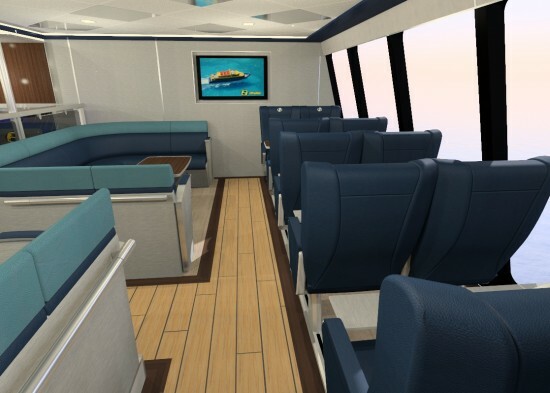 Great progress is being made at Midship Marine in USA where SGD are assisting the fitout specification, having designed the entire marine interiors package for two 48m / 800 pax luxury ferries currently in build for a client in Mexico. 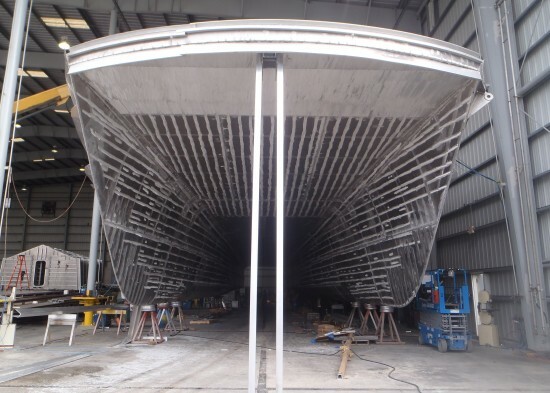 The first is scheduled to launch during the second half of this year and the second a few months later. 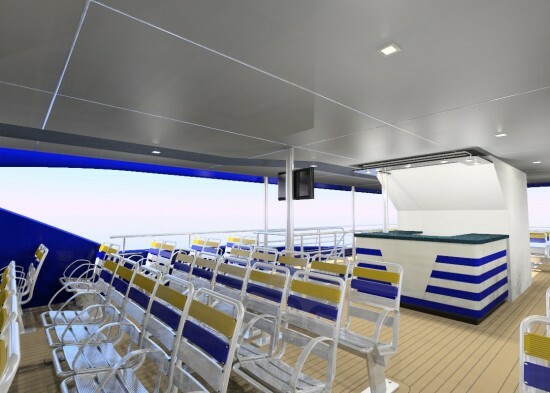 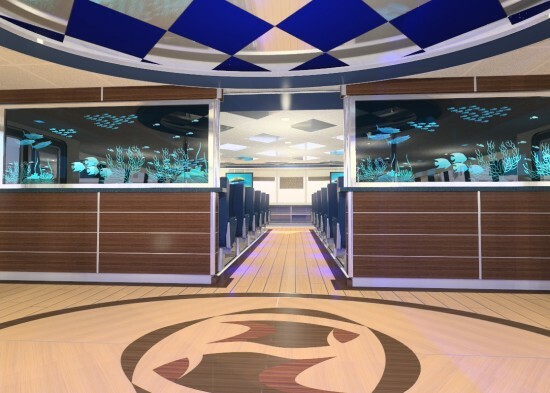 Each vessel has luxurious Code Compliant and Lightweight Fitout. 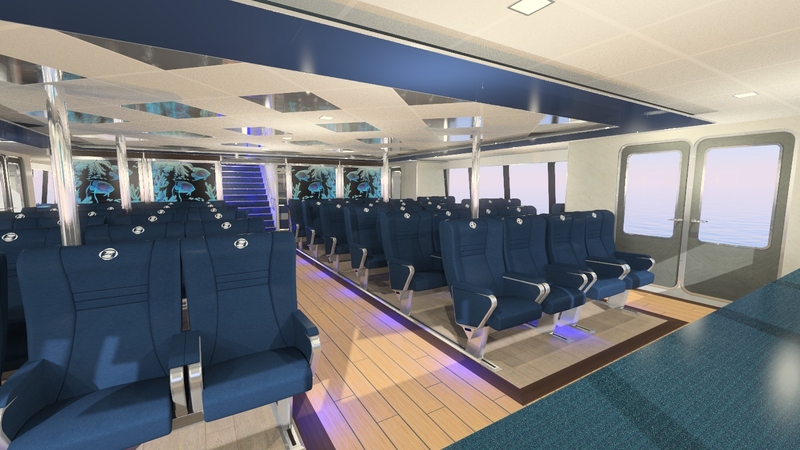 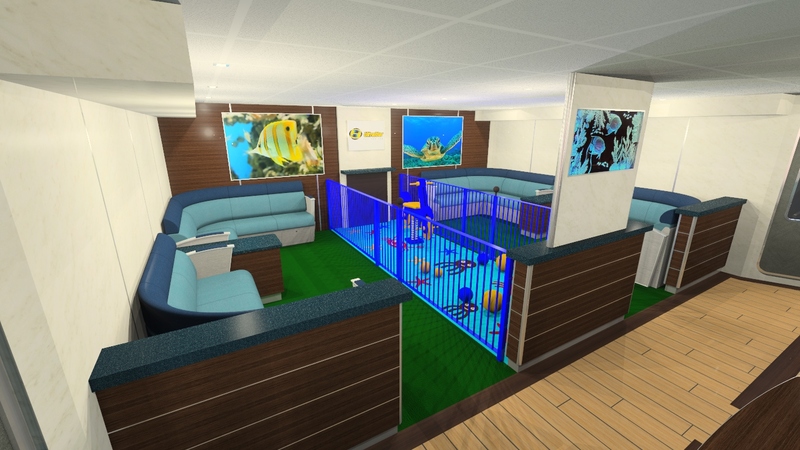 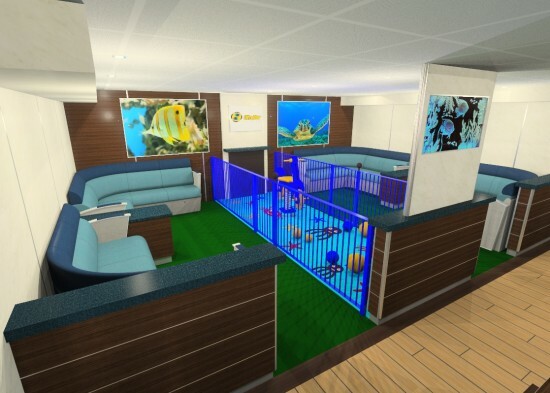 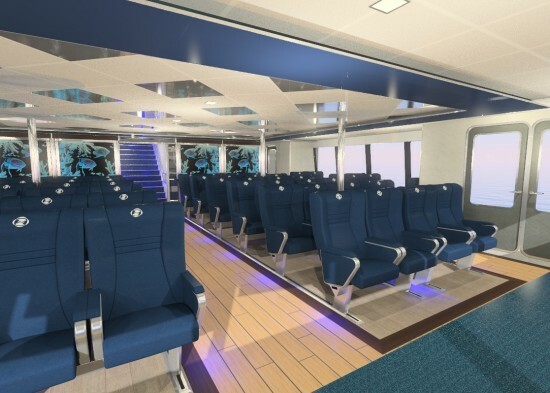 Opulent leather lounges, luxurious first Class seating, a Kids Play Area, a shop and many other top end features coupled with more than a bit of SGD magic all contribute to make these state of the art vessels stand out in a competitive marketplace. 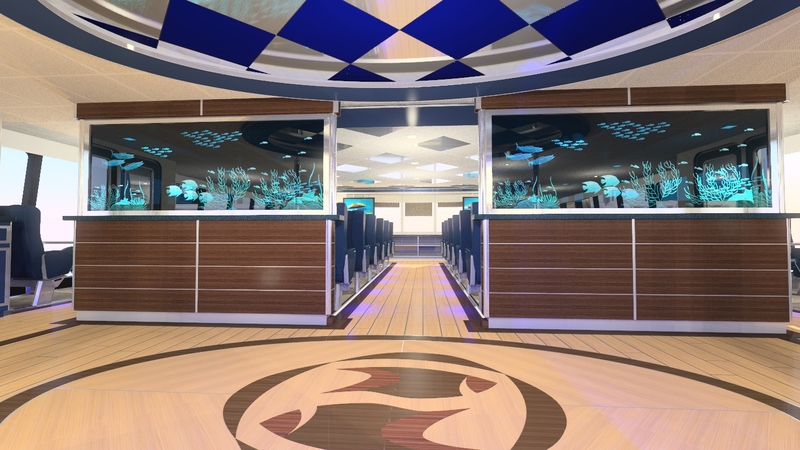 Both vessels share the same marine interiors scheme. 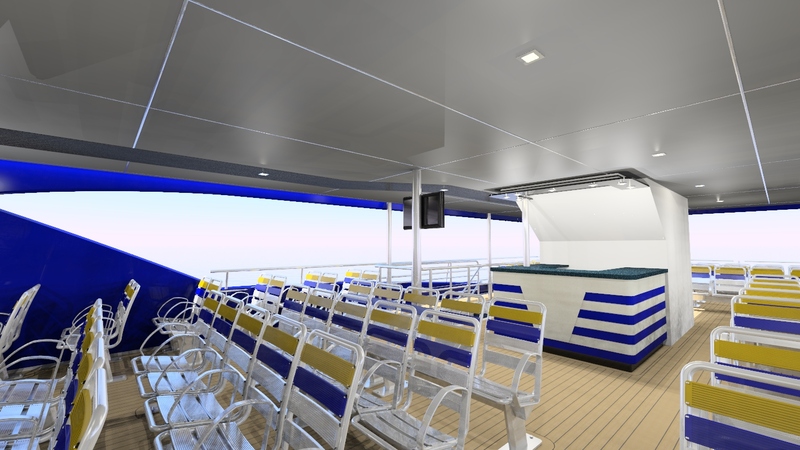 SGD has fully and realistically modelled the vessels interiors and exteriors as part of the design requirements. 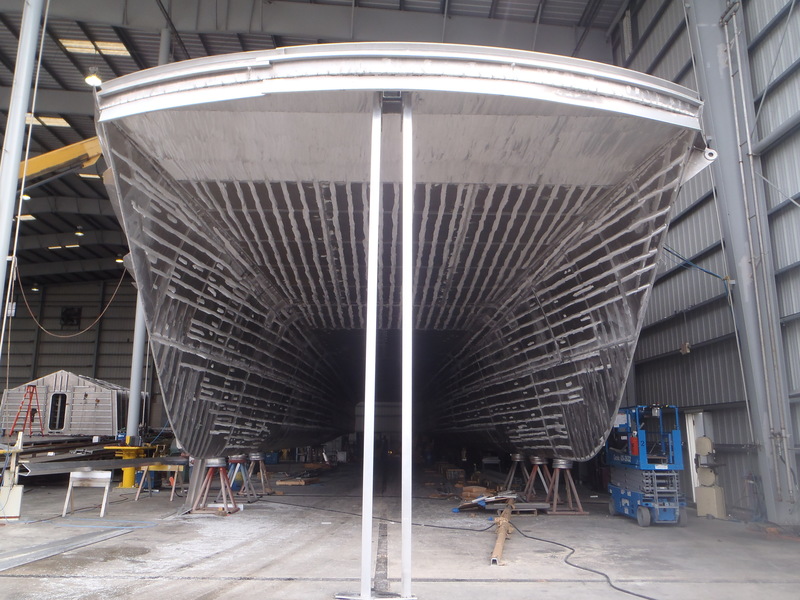 SGD has provided the Client and Midship with detailed specifications of all of the scheduled Finishes and FFE / Equipment.